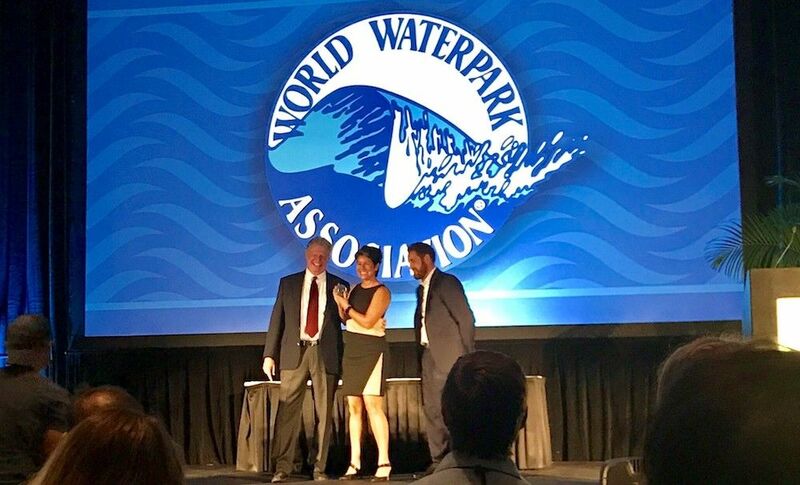 WhiteWater, the leading global designer and manufacturer of innovative waterpark products had a lot to celebrate this week at the World Waterpark Association show, winning multiple Leading Edge Awards. 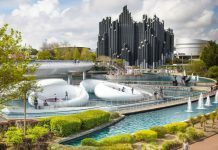 The Richmond, British Columbia firm won Leading Edge Awards for its work at Wanda’s Changbaishan Water Park in China and for the ultra-accessible Morgan’s Inspiration Island splash park at Morgan’s Wonderland in Texas, USA. 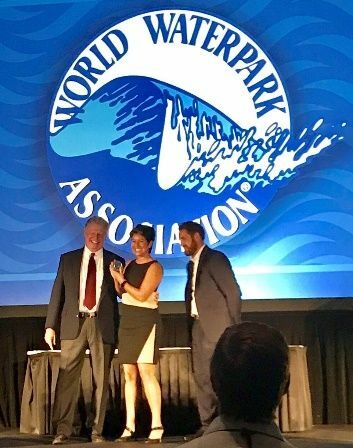 Furthermore, WhiteWater’s Executive Vice President of The Americas, Franceen Gonzales, was inducted into the World Waterpark Association’s Hall of Fame. Typhoon Texas also received an Executive Board Award at the show’s general session. Andrew Mowatt and Geoff Chutter with a Leading Edge Award. 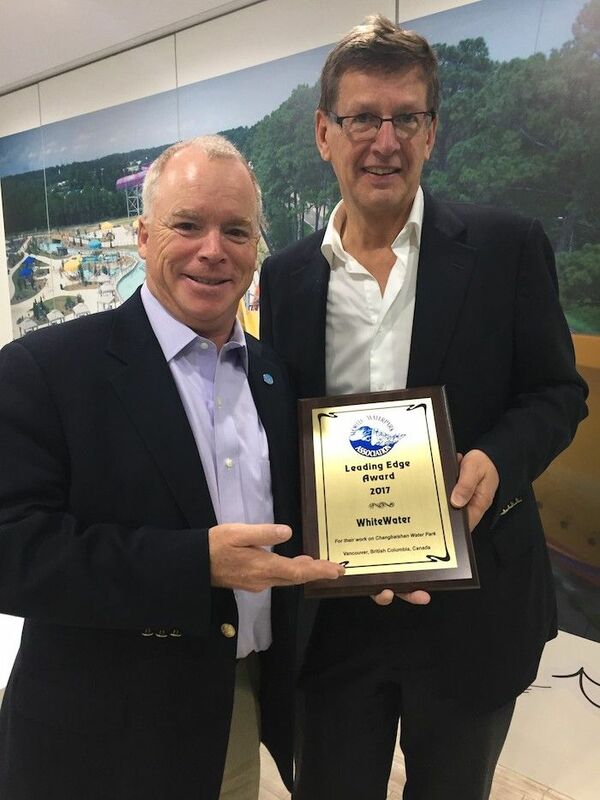 The World Waterpark Association’s Leading Edge Awards are awarded to individuals and attractions for outstanding work and products in the water park industry. The water park in Changbaishan boasts 14 attractions from WhiteWater. 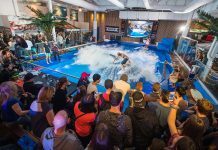 These include the high thrill experiences AquaLoop and Abyss 55 in addition to rides for younger children. 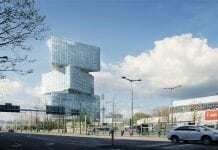 Wanda Group’s most recent project is open all year. Opened in August 2016, the water park has been a huge success. 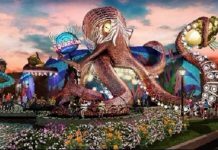 The 20,000 square meter park is located at Wanda’s Changbaishan International Resort. 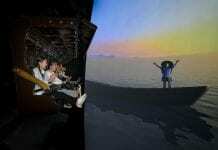 Highlights include unique treehouse theming and a bespoke AquaPlay interactive water play attraction. WhiteWater was an integral part of the project from concept design right through to waterslide supply. One unique WhiteWater project completed this year was Morgan’s Inspiration Island. The Leading Edge award recognizes how inclusivity for all abilities to enjoy water play together can be achieved. Inspiration Island is organized around six areas. Each has a tropical theme. 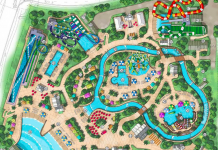 It features five custom-themed, fully-inclusive Splash Pads together with an ADA accessible Water Transportation System, all from WhiteWater. Paul Chutter is WhiteWater’s Chief Business Development Officer. He said, “No detail has been too big or too small. 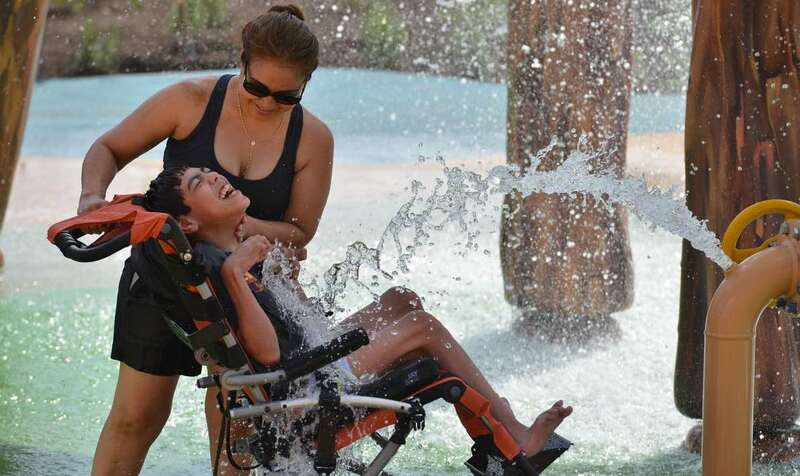 From adding a specially-designed spiral graphic to tipping buckets so that hearing-impaired guests will know when to wait for the downpour of water to creating waterproof wheelchairs for guests, it’s been inspiring to see how much care and consideration the people at Morgan’s have put into this park”. WhiteWater is proud of its 600 strong team. It considers it has the best team of experts in the water park business. Therefore, having Franceen inducted into the WWA Hall of fame as a true industry leader makes the company very proud. 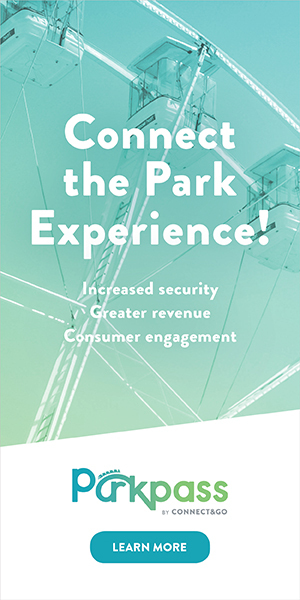 Franceen has devoted her career to making waterparks safer places to have fun. 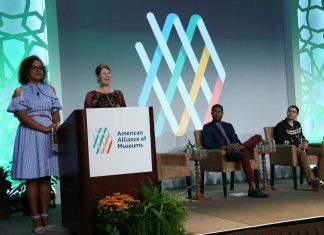 A member of the IAAPA Safety Committee, she sits on the ASTM International board. She also currently serves on the board of directors of both AIMS and NSPF. Her knowledge of and passion for operations is as a result of her previous management experience. This was gained at Hurricane Harbor at Six Flags Great Adventure and then at Great Wolf Resorts. At Great Wolf she was VP Risk Management and Waterparks. She was also responsible for the company’s 12 water parks across North America. Franceen leads the America’s team for WhiteWater. Paul Chutter says, “We are honoured to count Franceen as one of us at WhiteWater. She represents much of what makes us great to work with, she is dedicated and passionate, and a true expert”.